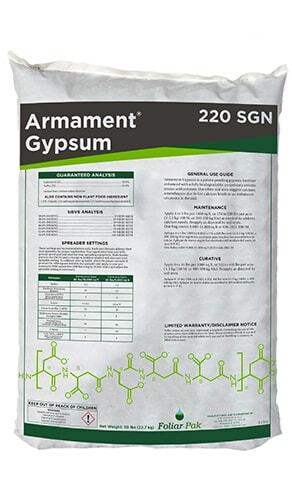 Foliar-Pak® Armament® P protects nutrients from adverse interactions in the soil while increasing phosphorus uptake and efficiency by as much as 30%. 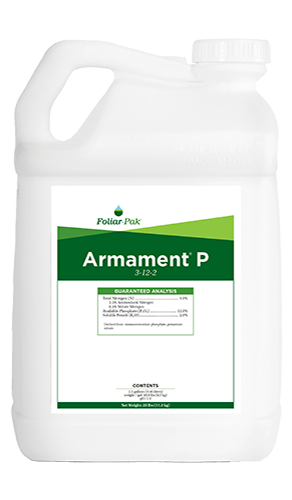 Foliar-Pak Armament P is a premium phosphorus supplement for highly maintained turfgrass. 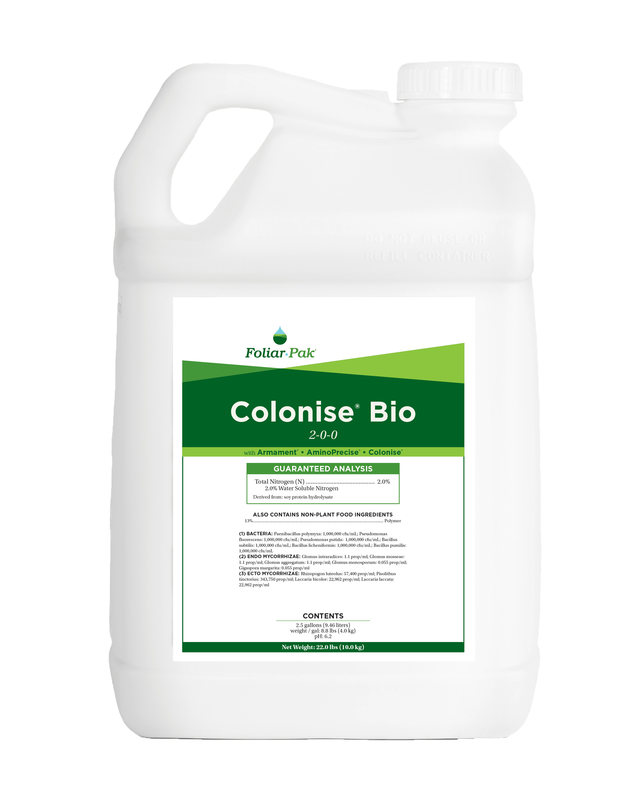 It is formulated with long chain carbon technology specifically designed to deliver phosphorus to plant roots. Phosphorus is essential for protein synthesis, cell division, and the development of new tissue. 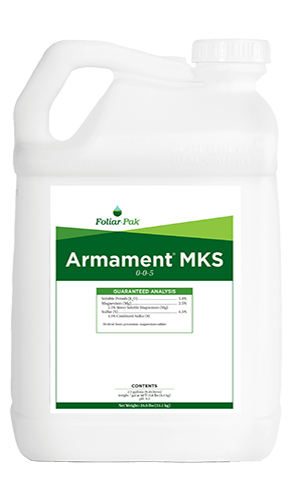 Foliar-Pak Armament P increases phosphorus availability by loosely complexing and preventing common soil nutrient interactions that tie-up phosphorus. 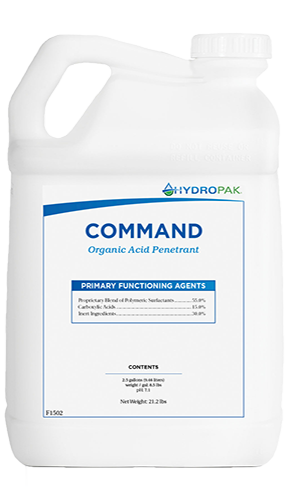 Acting as a buffer, Foliar-Pak Armament P can be used in high pH and hard water.